NO MONEY DOWN! Seller hates to leave this great house in an awesome neighborhood, you surely won't be disappointed. 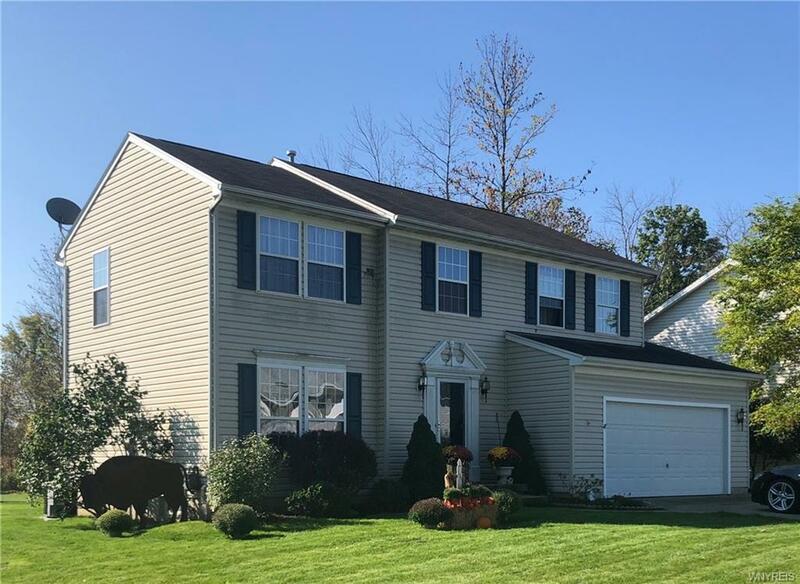 4 bed, 2.5 bath colonial w/ formal living & dining rooms, spacious eat in kitchen w/ island, morning room w/ wall of windows overlooking yard w/ no rear neighbors, & sliding glass doors leading to huge concrete patio. Cozy family room w/ gas fireplace. Spacious foyer & half bath complete the 1st floor. Upstairs you'll find a large master suite w/ walk in closet & private full bath w/ dual sinks. 3 additional bed rms & 2nd full bath. 2 car attached garage. Full dry basement. A/C. Walking distance to bike path that connects to Buckhorn State Park & close proximity to Veteran's Park, Miracle League field, & public library. 1 year warranty included! Private financing available.